When you have a true performer, such as the amazing Jill Scott, you can just sit there under the stars at the Greek Theater all night long! 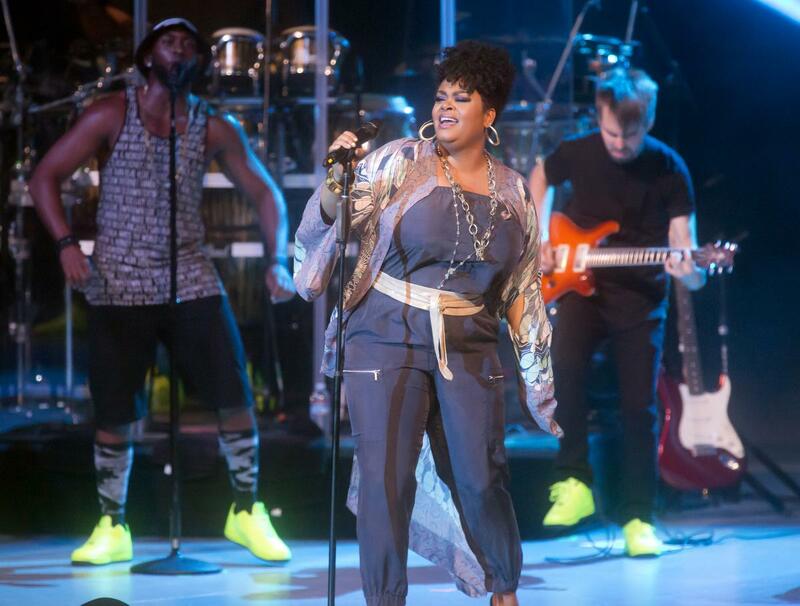 Jill Scott is a three time Grammy winning artist, known for her super sultry lyrics and neo-soul vibe. Her voice is as smooth as silk. She takes her audience on a journey. She weaves each song with true story telling as a great performer should. Jill Scott is that girlfriend that you call when your man hasn’t been acting right and you just want to vent, or when you need some advice on how to spice it up for him. The audience was like puddy in her hands as she crooned ballads of breakups to makeups. The night began with “Gimme” and included hits like “The Real Thing,” “Can’t Wait,” “The Way,” “Cross My Mind,” “Closure,” “Crown Royale,” “You Don’t Know” and “A Long Walk.” We were all on our feet worshiping this diva, hoping the party wouldn’t end. With a repertoire of over 15 years in the music industry, her playlist could have had us singing along into the wee hours of dawn. The night ended with “He Loves Me.” We love you too Jill! Check her website for tour dates in a city near you.